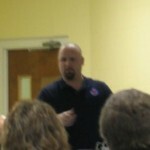 Joseph Rand has over 16 years as a law enforcement firearms instructor. He’s a certified NRA Training Counselor in pistol, rifle, shotgun, home firearm safety, Range Safety Officer (RSO), Personal Protection In The Home, Personal Protection Outside The Home, Metallic Cartridge Reloading, Shotgun Shell Reloading, Refuse To Be A Victim. Joseph is a certified NRA instructor in Pistol, Rifle, Shotgun, Home Firearm Safety, Range Safety Officer, Personal Protection In The Home, Personal Protection Outside The Home, Metallic Cartridge Reloading, Shotgun Shell Reloading, Refuse To Be A Victim, Chief Rang Safety Officer, Handgun Retention, Taser, Tactical Carbine, Tactical handgun, Tactical Shotgun. Joseph Rand is a member of the International association of law enforcement firearm instructors, Association of defensive shooting instructors, National Tactical officers association, and International Law enforcement Educators and Trainers association. Has over 20 years as a Law Enforcement officer. 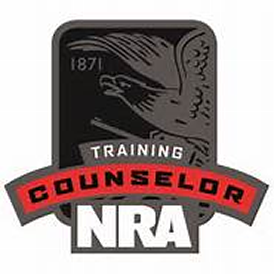 A Certified NRA instructor in Basic Pistol, Personal Protection in the Home, and a NRA Range Safety Officer. 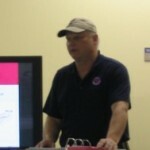 Has over 8 years as a law enforcement firearms instructor, and handgun retention instructor. 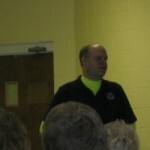 He is a certified NRA instructor in Basic Pistol, Personal Protection in the Home, and a NRA Range Safety Officer.